The Mapping Specialists Lake Fold Maps offer a new and unique way to discover a lake. The map is perfect for both the avid fisherman and the casual boater. The maps have a relief model that allows the user to view the lake in 3-D and GPS coordinates are provided for navigation. Patterns of plant life, rock structure, sand reefs, and stump fields, in 4 color, give the map an eye catching appeal. On the reverse side of the map we offer a convenient description about landings on the lake with GPS coordinates, a road map to the landings, and parking accessibility. The maps also have stocking information, plant life information, and notes from a local guide. The guides give their hot tips on what to look for when fishing, what to use in certain situations and seasons, and fish descriptions for after the catch. 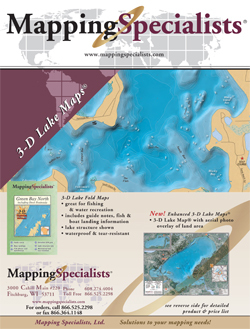 The Mapping Specialists Lake Wall Maps are designed for display. It may add interest to a wall in a home, cabin, or resort. The map contains GPS coordinates for easy navigation to and from various locales on the lake. Maps can be a valued source for giving directions and a decorative piece at the same time. County Wall Maps show an entire county at street level. Features include the newest subdivisions, block numbers, ZIP codes, and a complete index. Wall maps can be laminated with hanging strips attached. 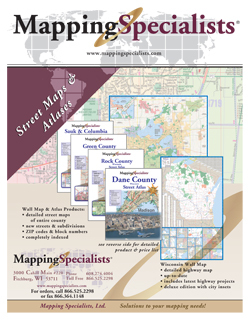 Wall maps can also be customized for your specific business or personal needs. County Street Atlases show an entire county at street level in a convenient, easy-to-use product. Choose from laminated spiral bound or binders with sheet protectors for extra durability. 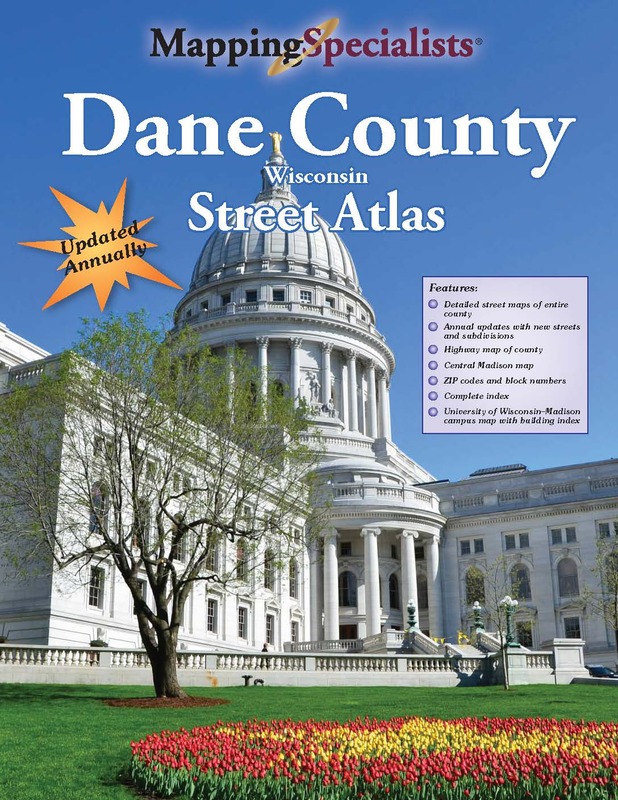 Atlas features include the newest subdivisions, a highway map of the county, ZIP codes, block numbers, complete index, and convenient map locators on each page. 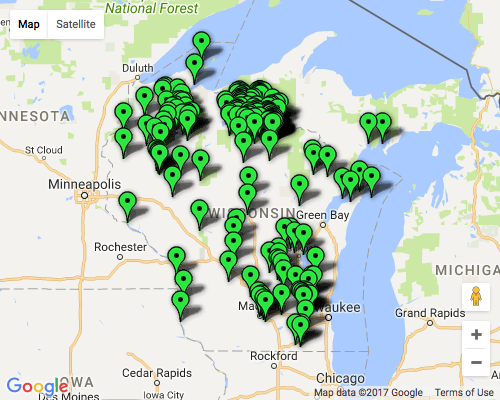 Road map of Wisconsin. Includes city index and driving mileage chart. Deluxe edition includes insets of major towns and cities. Laminated. State maps can be ordered from the Store. Globe Turner creates exciting travel and reference maps. 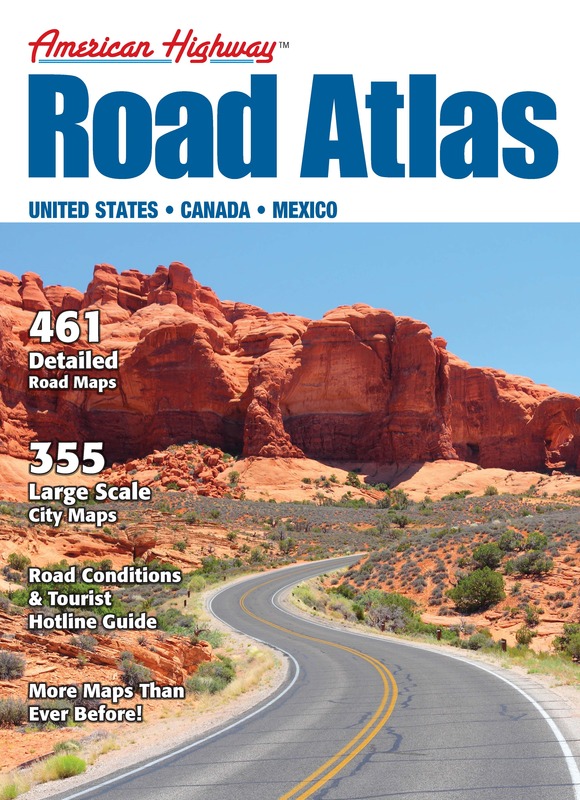 Combining superior digital cartography with innovative features and formats, these road atlases for the United States, Canada, and Mexico are great for when you are traveling within North America. Comes in large, medium, digest and pocket editions. Explore America with the Ultimate United States Road Atlas! From Hema North America, this 224-page atlas offers colorful, easy-to-read maps with seamless coverage coast-to-coast in a convenient, spiral bound format protected by a durable cover. 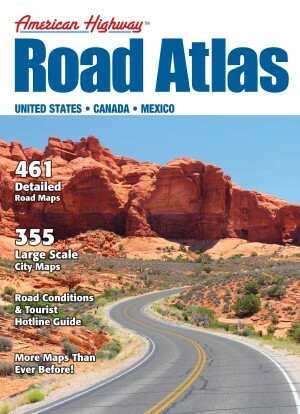 Presenting complete, updated road information as well as thousands of points of interest such as parks, museums, and historic sites, this atlas is the perfect companion for travels near or far. Detailed shaded relief for the entire country, plus city inset maps and comprehensive, small-scale mapping of the Northeast Corridor, help you find your way. And with complete latitude and longitude on every page, it’s the perfect complement to your GPS navigator.